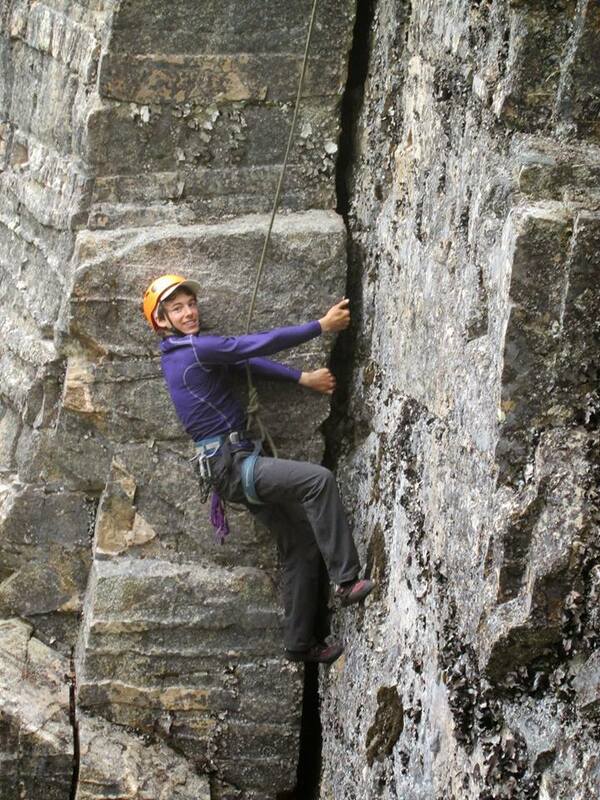 Something for everyone our climbing site features easy to challenging climbs! The rappel station is an exhillerating experience as you descend 70 feet of rockwall! These trips emphasize developing scouts’ climbing technique and skills. They are based on a hands-on approach and are conducted in an amazing alpine setting. Towering peaks and glaciers provide a spectacular backdrop, and great terrain to develop climbing skills. All climbing equipment is provided. Skagway is a small community located at the top of the inside passage, just 15 miles north of Haines. 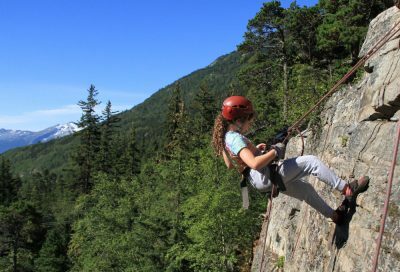 Surrounded on three sides by steep mountains, our rock climbing adventures take us high up to beautiful views of the surrounding Alaskan wilderness. 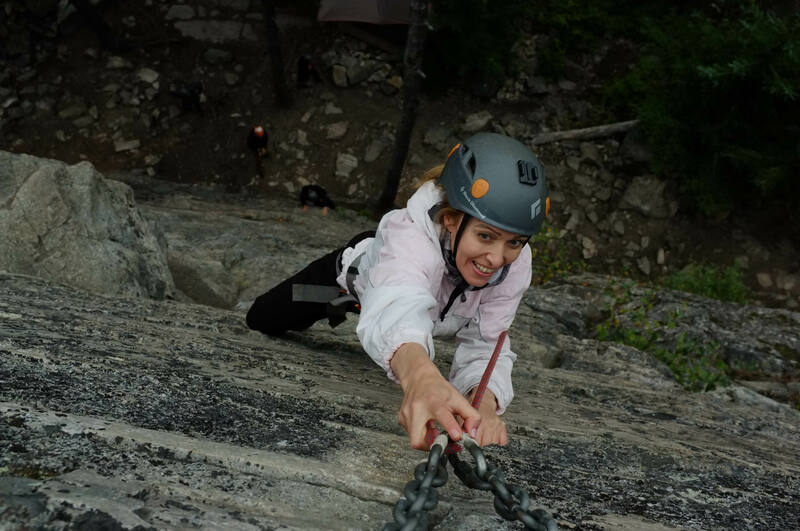 Our rock climbing site is exclusive to Chilkoot High Adventure Base and our sister company Alaska Mountain Guides. Skagway offers ease of access to high quality rock, a rare and distinctive aspect in Southeast Alaska. Our well developed climbing site offers something for everyone, from introductory climbs to challenging and complex routes. Scouts will enjoy stunning views of the valley and on a clear day even see down the fjord towards Haines and the Chilkat Mountains. Are widely recognized as some of the very best in their field and have practical leadership experience from around the globe. They are well trained and have an uncommon enthusiasm for sharing their skill and knowledge, borne out of a passion for outdoor exploration. No previous experience is necessary for this course. However, with a desire to learn and an enthusiasm for adventure, scouts will develop the skills necessary for a lifetime of wilderness exploration.